In this brilliantly designed 2 bedroom, 2 bathroom, dining-kitchen room, 2 living rooms and a connecting balcony was contented with its use of monotonous colors yet offers a bright and refreshing vibe on every room you enter. Engineered to have wide spacious areas for fluent outflow of wind and sunlight; healthier growth for you, your family, and your plants. 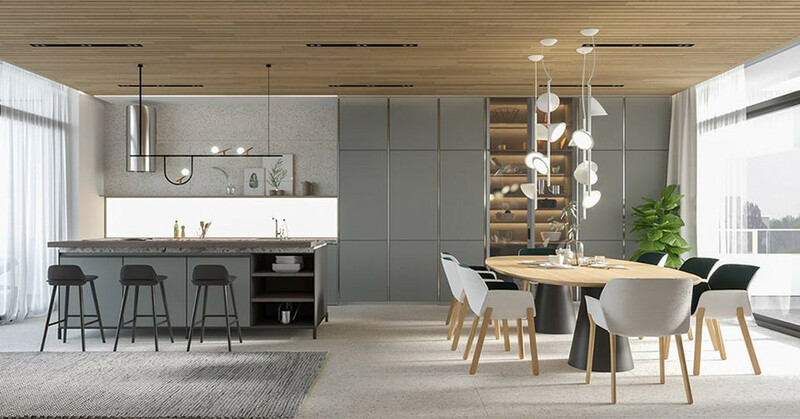 Combining the simple white-to-black tint with wood interiors altered the whole apartment’s perspective from a mere flat outlook to a natural, bright, and lively setting recreating a soft, warm ambiance for your whole family. The master bedroom en-suite bathroom delivers a warm and relaxed surrounding while the bathroom takes white simplicity with ease. The dining and kitchen are roomed together while separating the main living room that conjoins the spacious balcony.